PA License #030468 and Fully Insured ! When you think of a Plumbing and HVAC Professional here in the Lehigh Valley, we want you to think of A&A Plumbing, LLC not the “Other guy”! Our company prides itself in offering professional, courteous and clean service to all of our residential and commercial customers. 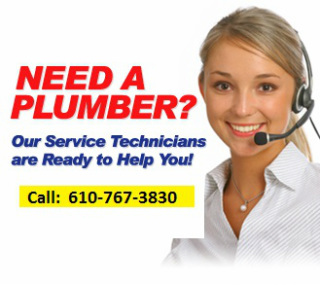 We are a fully licensed and insured FULL-SERVICE Plumbing and HVAC company that has proudly serviced residential and commercial customers in the Lehigh Valley and surrounding areas for over 15+ years. Our goal is to treat each and every customer with the Golden Rule of Plumbing. Quality and dependable service at a fair price! From routine repairs and maintenance to expert equipment installation and service, A&A Plumbing, LLC should be your ‘go-to business’ for all of your Plumbing and HVAC needs. When you call A&A Plumbing, LLC you get professional, clean and courteous service, every time its the "A&A Plumbing, LLC Way ... Where the difference is definitely in the details!"